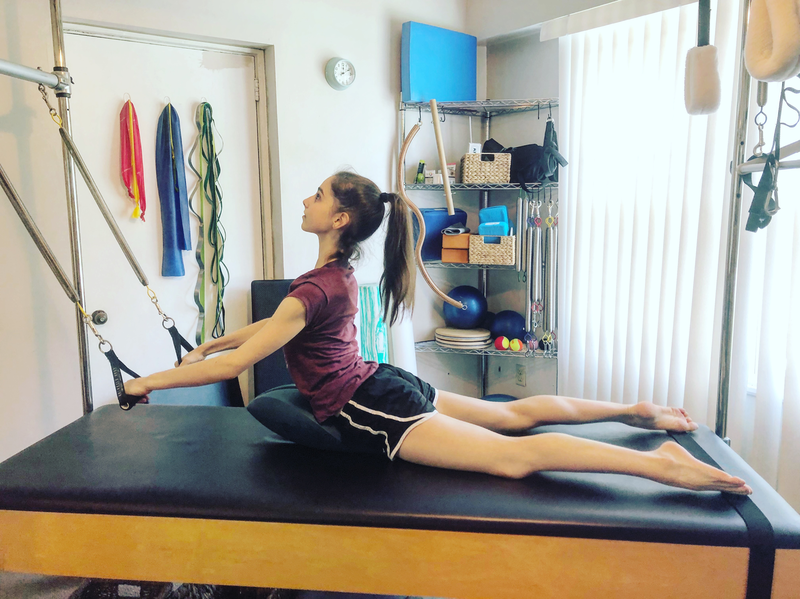 Pilates classes are an excellent entry point to learning about or continuing with a Pilates practice and provide an affordable and safe complement to one-on-one sessions and private Pilates. Our new location has room for group classes. Equipment classes will utilize the reformer and the other Pilates apparatus. Mat classes can include smaller props, including the Oov (scroll down to learn more). Prenatal/postpartum, Pilates for Dancers, Pilates for Athletes, Ergo Body Bone Building & Balance classes, and Gentle Pilates (for those who need to move at a slower pace or with modifications), are all topics that would make for great classes. If you have ideas or requests, please let us know! Interested students with little or no prior Pilates experience are encouraged to take advantage of Intro to Pilates, a three-session private Pilates experience that provides fundamental information about the principles of Pilates and introduces the apparatus. This 3-session package is $150 ($90 savings). Please note that these sessions are not for Physical Therapy. Mat Pilates classes are a simple way to get into – or return to – Pilates work. They are suitable for almost anyone and can be structured for beginners through experienced movers. Mat classes consist of exercises that can be enhanced by small props such as Magic Circles, rollers, and balls. Pilates fundamentals and principles are incorporated as you focus on breathing, alignment, and awareness. The goal is to allow you to move better, get stronger, improve posture, and become more flexible. Make an appointment to experience how mat work can be translated into improved awareness, comfort, and function in daily life! New for You: The OOV! What’s an Oov? The Oov (rhymes with “groove”) is a rehab, fitness and performance tool that can be used on the mat or Pilates equipment. It may be incorporated into PT and private or group Pilates classes. Developed by Danial Vladeta, an osteopath, the Oov helps correct for imbalances and compensatory patterns that have led to detrimental changes in movement and function. The tool allows for movement, stability, and control of the entire body, and Ilene is fully certified in all levels of Oov training. We’re excited to offer it now at Ergo Body studio!